The celebration of the first session of the Plenary Council in 2020 will bring hundreds of Catholic leaders to Adelaide to discuss how the Catholic Church in Australia can continue its mission in a society that is changing and evolving.Adelaide Archbishop Philip Wilson, who for more than a decade has been a proponent of such a gathering, said he was delighted the first of two sessions will take place in South Australia. 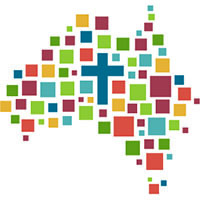 “This will be a truly historic moment for the Catholic Church in Australia and it is an honour for the people of God in Adelaide to welcome their sisters and brothers from across the country and host such important conversations,” Archbishop Wilson said. Plenary Council facilitator Lana Turvey-Collins said the selection of Adelaide is significant because of its location in Australia’s central corridor.